The election of Democrat Doug Jones, as Alabama’s Senator, is the beginning of the middle of a national sea change. All over America, people young and old have screwed up their courage to file for local, state and national offices that they never thought they could run for. Campaigning to fix concrete local problems, these newbies have rolled over established incumbents. Media folks who traditionally would have made fun of mere citizens campaigning for public office are perplexed or mortified. From 93-year-old Vito Perillo who beat his incumbent mayor in Trinton Falls, New Jersey, to 24-year-old Anna Langthorn elected chair of the Oklahoma State Democratic Party, citizens traditionally spurned by the political elites have stepped up in 2017 to run and win “off-year” and special elections. Your turn to make a difference is at hand. Dec. 14, is the beginning of a 55-day petition signature gathering period for local offices. Gather signatures to gain support, and with enough you won’t have to pay the filing fee. SLO County’s Clerk-Recorder asks that you call 805-781-5228 for an appointment to pick up your “petition-in-lieu” papers. The petition-in-lieu period ends Feb. 7. If you want to run for one of the seven Superior Court Judicial seats up this year, you must file a Declaration of Intention and your nomination papers (with 20 valid voter signatures) during the seven days between Jan. 30 and Feb. 7. Your filing-fee or petition-in-lieu, along with your ballot statement, must be turned in with the nomination papers. And, yes, you must be a lawyer with 10 years active practice. If you want to run for county assessor, auditor-controller-treasurer-tax-collector, clerk-recorder, district attorney, sheriff-coroner, or 2nd and 4th district supervisor, the petition-in-lieu period starts Dec. 14. But, nomination papers are taken out and returned (with your ballot statement) during the twenty-nine days between Feb. 8 and March 9. Talk to the clerk about the requirements, filing fees and petitions-in-lieu deadlines. 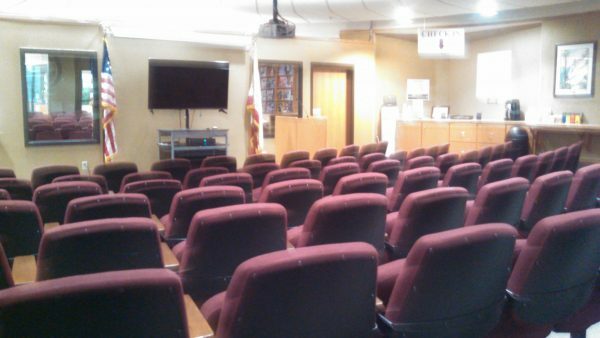 Here is a list of the county and state offices that are up for election this coming year. There is an open seat for State Senate. For help getting started to run for any of these public offices, contact the SLO County Clerk-Recorder’s friendly, non-partisan, staff at 1055 Monterey Street in San Luis Obispo; (805)781-5080, or check out their website. If you are interested in city offices, check on the requirements and deadlines with your city clerk. Some cities hold elections later in the year, but beginning now will help you succeed. Citizenship starts at home. Want a change for the better? Run for something. 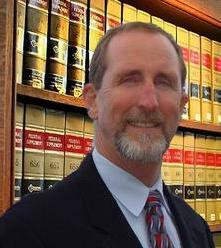 Stew Jenkins is a San Luis Obispo County attorney practicing in San Luis Obispo since 1978. Jenkins’ handles municipal law, Brown Act and Public Records Act cases, estate planning and family law. He supports open government, the rights of working people to organize unions, growing the local economy with project labor agreements, the right of all people to health care and equal access to justice. Make sure that if you are an outsider that is running against estabishment candidates for an elected office, that you make it clear that you are Democrat (or at least lean left). Otherwise you will be accused of colluding with the Russians to win the election. How about we find some people with honor and integrity this time? The election of Doug Jones hardly represents a “sea change”. Agreed. Moore lost by 20,000 votes when it should have been a landslide. Plus there were more than 22,000 “wasted” write-in votes, most of which were probably protest votes by Republicans. Jones is serving out a term from Jeff Sessions, and faces re-election soon. We’ll see then. Just what we need, productive citizens leaving the private sector to become useless Beurocrats. No thanks.